Watt's Up? : Why have multiple output range DC power supplies? Why have multiple output range DC power supplies? Most often DC power supplies have a rectangular output characteristic, as depicted in figure 1. 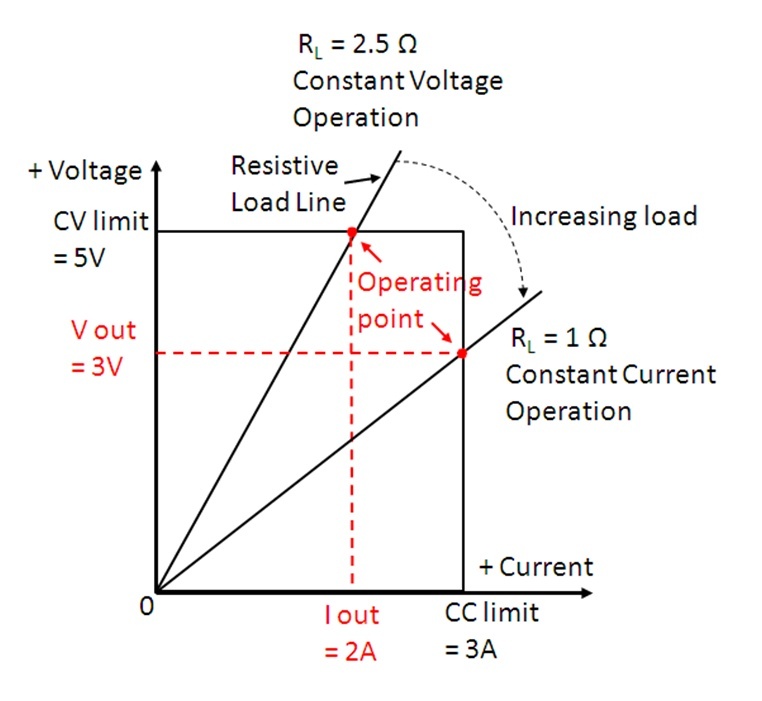 With an increasing load they output a fixed output voltage up to the current limit, at which point the voltage drops in order to maintain the current fixed at its limit. 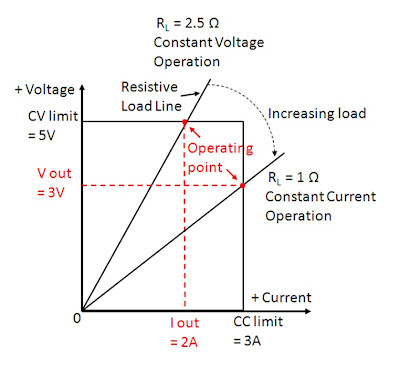 Figure 1: DC power supply rectangular output characteristic. There is however DC power supplies that offer multiple output ranges. One example of a multiple (dual in this case) output range DC power supply is our N678xA series DC source measure modules. Their output characteristics are depicted in Figure 2. Unlike the output characteristic of a single output range DC power supply, you cannot get both the maximum current and maximum voltage of a multiple output range DC power supply at the same time. What is the purpose of having multiple output ranges on a DC power supply? 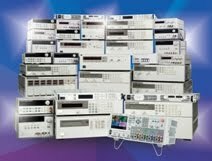 There are times, especially when having to test a variety of devices, the need for greater current or voltage, but not necessarily needing both maximum voltage and current at the same time. In these situations many times these test power needs are better served by a DC power supply having multiple output ranges. The advantages of a multiple output range DC power supply are smaller size, less power dissipation, and less input power required, in comparison to a single output range DC power supply of comparable voltage and current capability. If the N678xA series DC source measure modules had a single output range they would need to have a 60 watt output to cover the span of voltage they now provide with 20 watts of output power. An even more extreme example is our B2900 series source measure units. They output up to 31.8 watts continuously, but can provide up to 210 volts and up to 3.03 amps over three output ranges. The downside of having multiple output ranges is somewhat greater complexity. Figure 3 depicts a conceptual design for a dual output range DC power supply. Because the transformer efficiently converts AC power by square of its turn ratio there is very little impact on its size to accommodate secondary windings with multiple taps or multiple secondary windings that can be alternately connected in series or parallel, in order to accommodate multiple output power ranges. Similarly, the linear series pass element dissipates about the same maximum power whether it is operating at a higher voltage with lower current, or at a lower voltage with a higher current. The end result is a multiple range DC power supply can provide a greater range of voltages and currents for a given output power at the expense of a little greater complexity. Often this is far preferable to the alternative of a much higher power, and larger single output range DC power supply! What is Dynamic Current Correction?